Solid version of FE494. 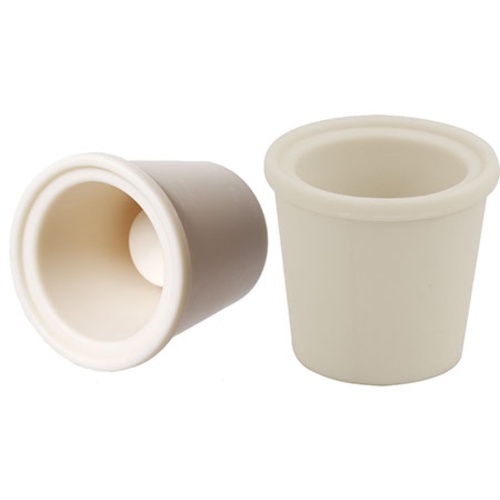 A new stopper that fits a 2.8,3,5,6, or 6.5 gallon glass carboy. (DOES NOT FIT BETTER BOTTLE OR PLASTIC CARBOYS) Also fits a 500ml Erlenmyer flask. 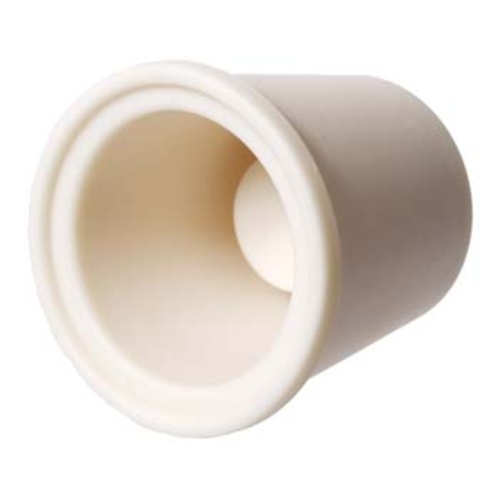 Made with a longer taper from a different material, this stopper does not pop out when wet. Much more reliable, it quickly became our stopper of choice for all applications involving these size carboys. I've been trying out a few of these solid or breathable stoppers for aging my wines in glass carboys. This is my least favorite model. The rubber is rather stiff and doesn't seem to compress very well to hold itself in place. I think the FE479 is better if you don't mind it being breathable.